Save on fuel and car parking by coach hire! Coaches to Ebbsfleet are a low cost alternative modern transport, they can be ideal to carry a private group of travelers. 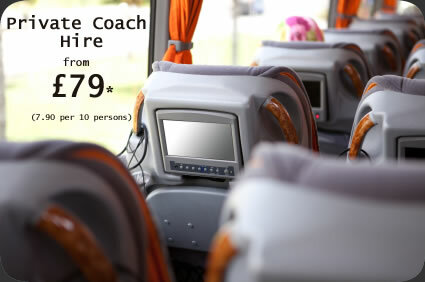 Private hire coaches are available at low cost to transport groups of travelers (minimum 8 - 50 people per coach). We accommodate groups of business travelers and parties of people to an event. You can book a group coach for travel to local events, towns or to anywhere in the United Kingdom and often it works out cheaper than each taking the train, contact us for more information regarding private coach hire services. Special private coach hire terminals are located front/right of Ebbsfleet Station main enterance. Bluewater hosts events, has hundreds of shops as well as food and bars to entertain and accommodate group parties. Historic town of Gravesend attracts visitors to its restored town. Historic dockyard town of Chatham famous home of Charles Dickens. Most popular for the M25 crossing Dartford is a popular place of business. 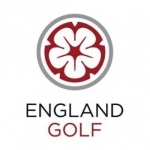 England v France International Golf tournament at Rochester and Cobham Park Golf Club, May 2012. National Express Coach Services to Ebbsfleet, Kent. National Express run directly from Stratford International, connect via high-speed train from Ebbsfleet International Station. Bristol/ Birmingham/ Southend-on-sea / Norwich / Manchester / Brighton / Norfolk / Leicestershire / Essex to London Victoria Coach station. 1000's of passengers daily from London to Kent. Coaches depart and transport to over 160 top UK destinations. Fastrack the local Passengers bus service. Buses for local journey's are also available and bus-stops are near the coach terminals. National Express offer the widest choice of coach departure locations in the UK. Contact us for information on private coach hire or for scheduled journeys select from the list below.